The Portland Farm and Garden Educators Network (PFGEN) is an informal network of educators, teachers, volunteers, parents, non-profit staff and others who use gardens and farms to teach children about the environment, food systems, nutrition, science and other topics. 3029 SE 21st Avenue, Portland, OR 97202. Please RSVP here. We also have an active Facebook group. Feel free to share pictures from your school gardens, ask questions or point others to local resources. 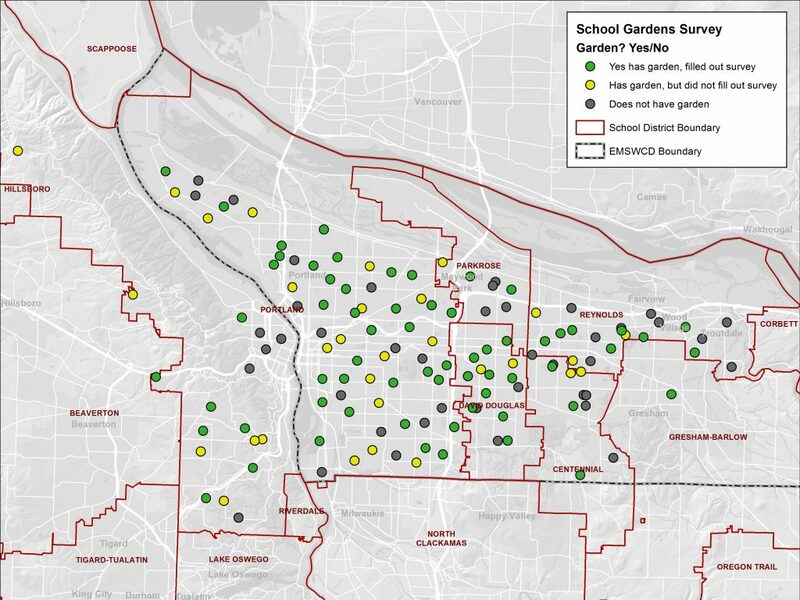 In 2016, Growing Gardens undertook a regional School Garden Assessment, with support from East Multnomah Soil and Water Conservation District, which gave us a panorama of school gardens in our region. Please see the full report here.